Every year we try to make it easier for you, the consumer, to choose great gift for the holidays by suggesting products that the staff has used and been impressed by. Below are the staff holiday picks for 2017. Hope they help you pick the right gifts for the loved ones in your family. Scientific Anglers’ new line of lightweight spey lines is guaranteed to be a hit with the growing popularity of spey fishing for trout. Whether you want a skagit line for throwing weighted streamers and tip or a Scandi line for swinging lightweight trout patterns such as soft hackles, small streamers or dry flies, Scientific Anglers has an option for everyone. Both the skagit and scandi lines have an integrated option with running line attached to the head or you can opt for the skagit head in a non integrated format which will allow you to use your preferred running lines and give you the ability to change heads as needed. Lines are available from 150gr to 360gr which will generally cover 6 weight rods and under. I use the 360gr integrated scandi on my 6110-4 Winston BIIIth and makes casting and swinging caddis emergers and smaller steelhead flies effortless. For anyone getting into spey fishing for trout, be sure to check out the Spey Lite series of lines from Scientific Anglers. I stepped up my fishing game about a year and a half ago when I bought a drift boat and that’s become another excuse to buy fishing gear. The first piece of gear I bought was Fishpond’s older Westwater Boat Bag. It’s been one of my most frequently used pieces of fishing gear in the boat and even outside the boat. Fishpond just released their updated version of the Westwater Boat Bag which is now called the Cutbank Gear Bag. There have been quite a few upgrades incorporated into the new version and some of the same great features as the old one. The new 22 liter bag has a bit more rigidity to it which is great for me because my 70lb dog likes to sit on top of my bag while in the boat. The zippered lid hangs over the edge of the bag so your gear is safe from rogue waves and wet dogs even while it’s unzipped. When not fishing in the boat, the Cutbank is an ideal bag for tackle and gear storage. The bag has two dividers which is ideal for separating fly boxes, reels and other gear (I keep my camera and lenses in mine) with a few smaller zip pockets for smaller accessories. The bag uses water resistant zippers and has multiple tie down points and accessory loops as well allowing for personalization and a variety of configurations. Whether you’re in the boat floating a river or camping and fishing by foot, the Cutbank Gear Bag will keep your gear organize and safe from moisture while being a very portable piece of fishing gear. 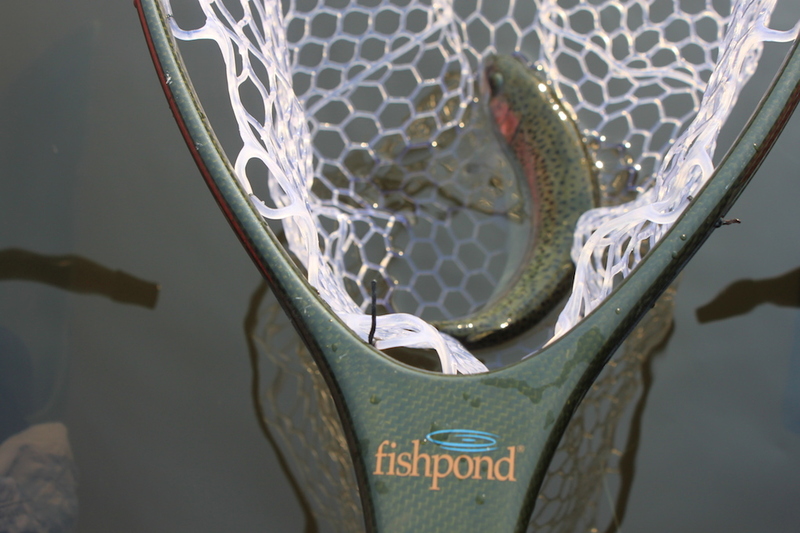 The Fishpond Submersible Backpack is perfect for the nomadic angler in your life. The 1680D TPU fabric and TIZIP make this the perfect waterproof storage solution for both Saltwater & Freshwater anglers alike. This pack will provide piece of mind when it comes to storing your important gear for a day on the water. Sight casting for bonefish one of the most exciting ways fish due to the fact you need to be ready at a moment’s notice. With that being said, it is critical to have gear that performs well and that you trust when that shot arises. This award winning, feature rich fly line, is a must for any angler with tropical flats in their future. I purchased my first Loop Evotec fly reel about 2 years ago, it was the Evotec Lightweight 7/9 and quickly became one of my favorite reels I use for big game. It wasn’t the most stylish reel on the market, or the lightest but what it lacks in those departments it made up with the wide spool design to offer plenty of room for backing and aggressively tapered fly lines or skagit lines and the quite, almost non-existent click. After playing with the older version for a few years and really enjoying it, I decided to purchase the new 4th generation Evotec fly reel this year. This generation offers many of the same features which made me fall in love with the 3rd generation fully machined aluminum design, Waterproof Power Matrix drag system and an easy to grab drag knob, in addition to more porting on the spool to allow more weight reduction and better ventilation for your backing. 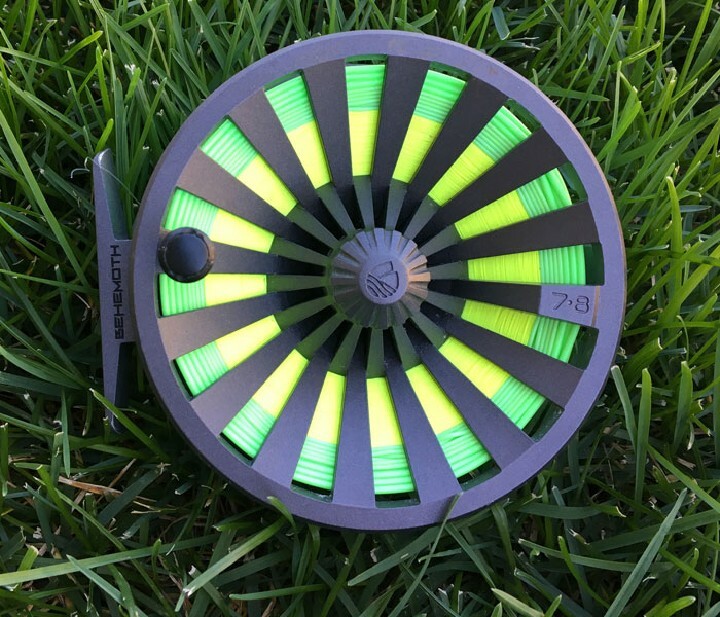 The Evotec G4 fly reel by Loop is also offered in multiple colors which is great for the customer that wants to add a little bling to their outfit. Simms released an updated version of their popular G3 Guide Stockingfoot Waders this fall and I was fortunate enough to be given an opportunity to break-in our shop demo pair. This version resembles the previous model very closely but offers subtle changes to the fabric and features for a more pleasant experience. One of the first differences I noticed while pulling them on was the feel of the GORE-TEX material itself. 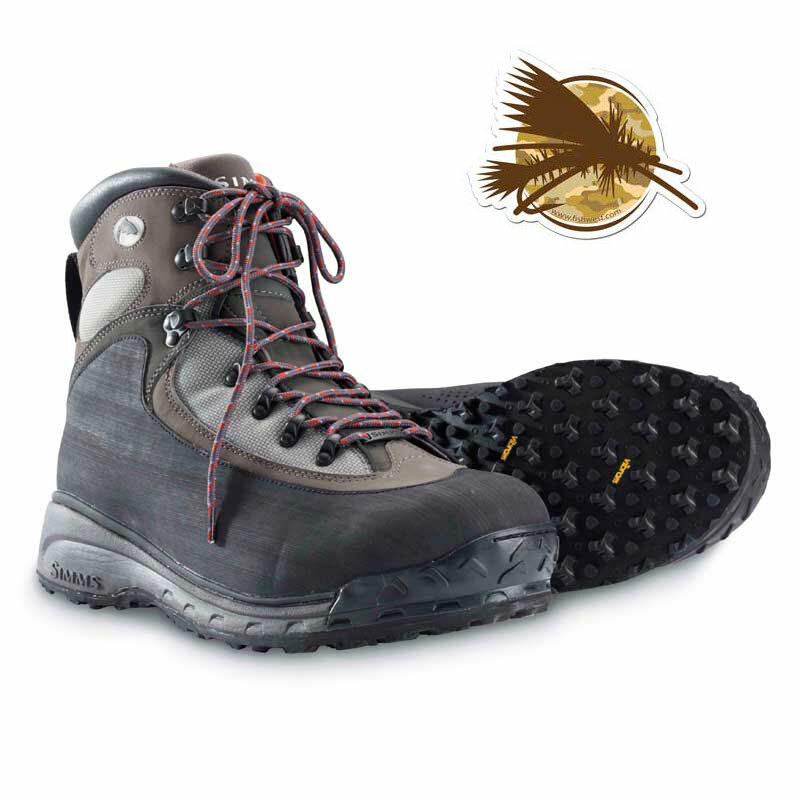 The updated G3s still offer four-layer GORE-TEX Pro Shell in the legs and three-layers in the upper section but these had a softer feel. Not so much soft as in fleece but the pliability of the fabric. It wasn’t the stiffish material I’ve been use to from Simms waders but folded and articulated much easier while hiking to and from the river and didn’t bulk-up in the chest when I sat down for lunch. Other features that have been modified are the fleeced lined hand warmer pockets that now sport a zipper opening instead of storm flaps to store gear and accessories more securely then before. Simms has also added a Velcro Super-fly Patch on the front left chest and a funk-fighting anti-microbial finish into their stockingfeet. These waders still feature built-it gravel guards, anatomically designed legs and stocking for ease of movement and a Tippet Tender Pocket to store spools and other small accessories close to hand. Unfortunately, for me, I had just bought a new pair of G3s this spring and now wishing I had waited a few more months to pick up a pair these redesigned G3 Guide waders instead. One of the newest fly tying materials to hit the industry has now become one of my favorites. At first it can be difficult to use with certain threads and flies but I’m continually impressed with the usefulness of this material. 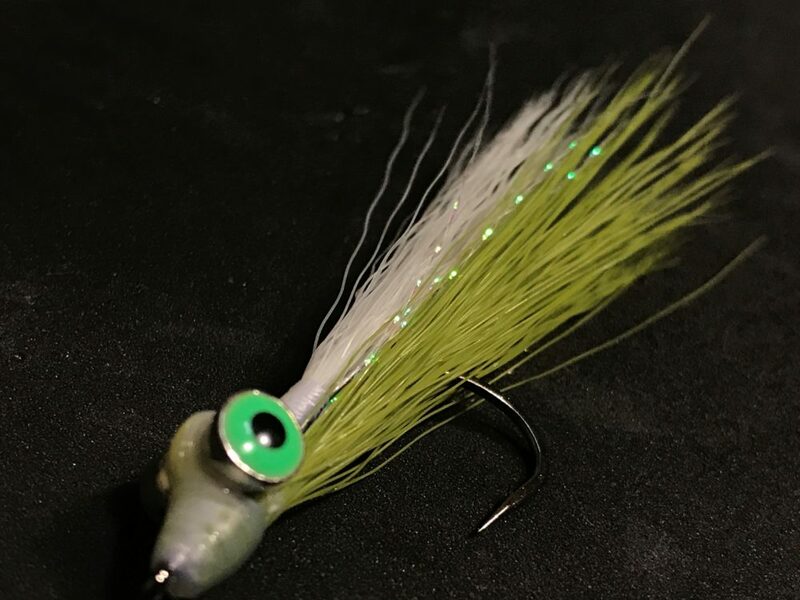 Faux Bucktail can be used for anything if you want to get creative and or just keep it simple with your favorite baitfish pattern. When winter decides to show its frosty form I cannot go outside without my cold weather pants. These pants are some of my favorite winter wear because not only are they built for cold weather (duh), but they feel like pajama’s on the inside yet maintain a classy look. With the cold winter season rolling in, it is important to be prepared for the weather in order to have an enjoyable day outdoors. That is where the Simms ExStream Foldover Mitts come in, with their internal fleece lining and water resistant DWR coating, they will be the saving grace for your hands. Note: This post was originally published in December 2017 and may be out of date.